Is this really the same person? "Bachelor Pad" finalist Ella Nolan pulled a Heidi Montag by undergoing a whopping five surgeries in just one day. 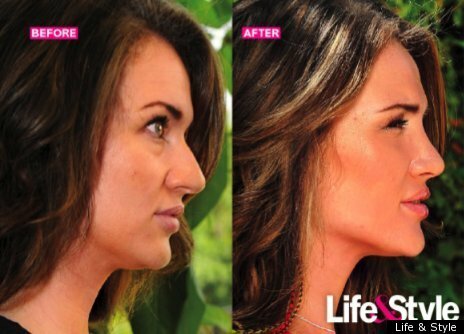 After an operation that included rhinoplasty, breast implants and liposuction -- with some three liters of fat removed from her abdomen and upper-thigh area alone -- the single mother reveals joy at her new slimmed-down body and chiseled face on the cover of Life & Style magazine. The veteran reality star -- she appeared on the Jake season of the "Bachelor" last year before returning to the tube for "Bachelor Pad" -- apparently wasn't happy about how she appeared on screen: "TV magnifies all your flaws, and seeing my profile really bothered me." For more, click through to Life & Style.